Charlson Import Agencies was formed in 1997 as an importer and distributor of pumps and accessories from a variety of Italian manufacturers. Two of the founding shareholders, Mike Di Bona and Julian van der Westhuizen, are still active as Directors. 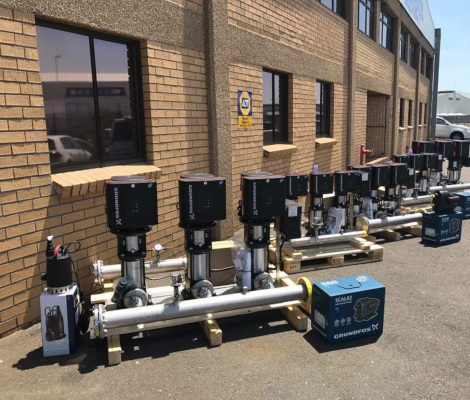 Charlson Import Agencies grew its brand by being the sole importer of Vertix Pumps in South Africa. 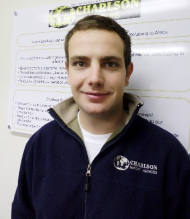 Thomas Botes joined Charlson in 2013 as a Director after working at Provincial Pumps and ITT/Xylem for 8 years. Along with Thomas came a Grundfos Distributorship and the engineering side of Charlson officially started. 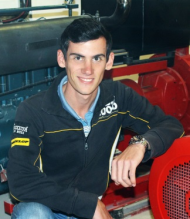 Jason Di Bona joined Charlson in 2014 after qualifying as a mechanical engineer from Stellenbosch University. In 2016 he was instrumental in obtaining ASIB listing as a fire pump and panel supplier and the fire pump side of Charlson began. Charlson Pumps is the sole importer of the brands Vertix Pumps, Rover Pompe and Tellarini Pompe. We offer fire sprinkler pump sets manufactured and tested according to the ASIB Standards for Automatic Fire Sprinkler Installations. Hydrant and hose reel pump set options are also available. We supply pumps from a wide range of manufacturers to suit almost any fluid handling application. We have strong relationships with a variety of pump and pump-related product manufacturers, so if an alternative product specification is required, we can assist. 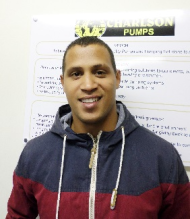 Thomas has been with Charlson since 2013 after previously working for Agrico for 3 years, followed by Provincial Pumps and ITT/Xylem for 8 years. 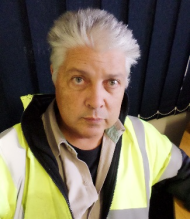 He is extremely well known in the commercial building services industry and is the “go to guy” for booster sets and HVAC pumps in Cape Town. He is often referred to as “Mr. Booster Set”. Clive joined Charlson in 2013 after 20 years at Provincial Pumps and ITT/Xylem. 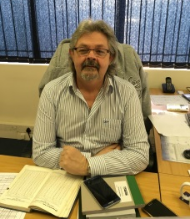 Clive has an exceptional knowledge of pumps and their components, making him the perfect man to handle the spares sales at Charlson. There is no mechanical seal in the world that this man cannot find. 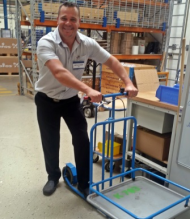 Darren has been with Charlson since 2013 and started out as Storeman. 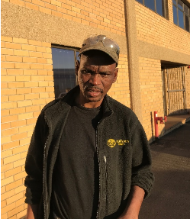 His work ethic and hunger for knowledge earned him a place in the sales department in 2016 and he is currently managing the pump repairs. He has grown considerably since joining Charlson, not only in knowledge, but in shirt size too. 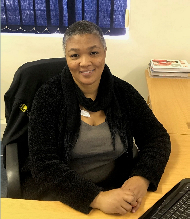 Danielle joined Charlson in 2018 as receptionist. Always seen with a smile on her face, she adds some charisma to the reception area. As if handling the reception isn’t enough work, she is also responsible for managing Armien’s quotations too. Koos has been working on pumps since his teenage years. A stint with Southern Pumps was followed by 20-odd years at Provincial Pumps and ITT/Xylem. Koos is a master pump fitter, able to build or repair almost anything that comes into the workshop. While most kids grew up assembling Lego blocks, Koos grew up assembling vacuum pumps. 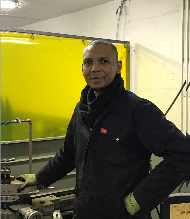 Yanga Joined Charlson in 2015 as a cleaner and now holds certificates in welding and is currently studying for his fitting and turning trade qualification. A person who once was the shyest and quietest in the workshop has grown to become the loudest and most outgoing workshop staff member. Alongside Koos, he is quickly learning the art of building pump sets and is never shy of giving fellow staff members a word or two. 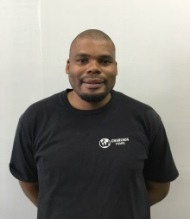 Darryl joined Charlson in 2015 after a stint in the air conditioning industry. He is a hard-working individual and is rapidly becoming a reputable site technician. He is quickly learning the dark arts of covering your shirt in oil. 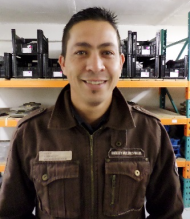 Avelino, or Avi as we know him, joined Charlson in 2018 and is working alongside Waleed in the stores. As an extremely dedicated worker, Charlson’s stores have never been so organized since his arrival. 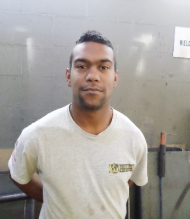 Jason has been with Charlson since 2014 after graduating with a Mechanical Engineering Degree from Stellenbosch University. He enjoyed Fluid Mechanics so much that not only did he take the subject three times at university, he decided to pursue it as his occupation too… He is mostly involved in the Fire Pump areas of Charlson. Tim joined the Charlson team in 2016. He has a wealth of sales and engineering experience after serving as the Cape Town Branch Manager for Regal Beloit for 8 years prior to joining Charlson. Tim brings critical motor knowledge to Charlson and is always sharing what he has learnt, usually over a beer at 16:30. 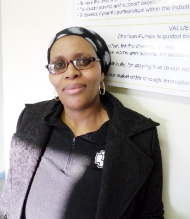 Nonnie is the longest serving employee of Charlson, having joined the company back in 2001. She is the Monty’s better half and makes the best cups of coffee around. 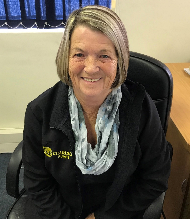 Nonnie is responsible for keeping the offices clean and tidy and is never seen with the same hairstyle for more than a week. 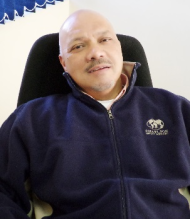 Bernard joined Charlson in 2017 after 18 years in the pump industry, with a 7 year stint at Southern Pumps, followed by 11 years at Provincial Pumps and ITT/Xylem. 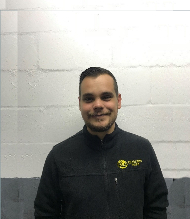 He is a qualified fitter and turner and enjoys getting stuck in to some banter with anyone that is willing to listen. David (another workshop member with a nickname that cannot be traced) has been with Charlson since 2016. He spent around 20 years learning his trade at Provincial Pumps and ITT/Xylem and is now using all his knowledge completing site installations and repairs in the workshop. Chris joined Charlson in 2018 after spending a few years in the engineering industry. 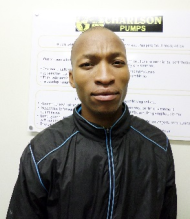 He qualified from CPUT with his National Diploma in Mechanical Engineering in 2015. He spends most of his time on site with Keith, installing and commissioning pump sets and control panels. 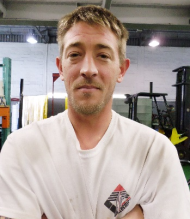 Andy has been with Charlson since 2017 and is the workshop cleaner and assistant. Brett is a household name in the pump industry. He joined Charlson in 2016 after spending many years as Sales Manager at Provincial Pumps and ITT/Xylem. He has a wealth of experience and his focus is mainly on tenders and major projects. He is another member of the infamous 16:30 lectures at the Charlson bar. 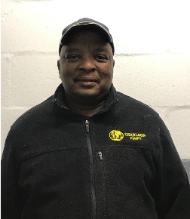 While Keith runs his own company and is not a Charlson employee, he is an important part of the family and acts as Charlson’s Electrical Manager. Keith has a reputation in the industry for being the standout pump electrician around. 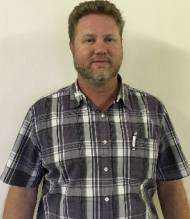 He has honed his skills to focus on the wiring and commissioning of VSD pump sets and his system understanding, panel design and on-site troubleshooting ability are second to none. Never one to keep his mouth shut, he is often found giving consulting engineers grey hairs when discussing system designs on site. Surur joined Charlson in 2014 after a period at Southern Pumps. Surur is the workshop turner. Fortunately, he is much better at his job than the players of his beloved Liverpool Football Club…or so say the abundance of Manchester United supporters at Charlson. 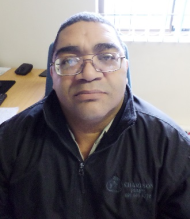 Tokkie has been with Charlson since 2013 and has developed his skills to include site work as well as workshop repairs. 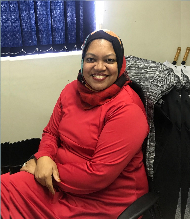 Tokkie is the pump coating specialist at Charlson. 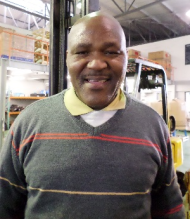 Herman is the driver for Charlson, having been employed since 2013. He has a built in GPS, with Marcello’s Pub programmed as a point of interest. 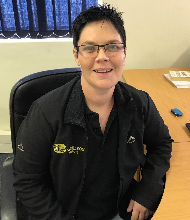 Armien has been with Charlson since 2014. As a qualified Marine Fitter & Turner, Armien’s history in the pump industry goes far back; with work at Southern Pumps, followed by a Director position at Provincial Pumps for 18 years, followed by 4 years at ITT/Xylem. 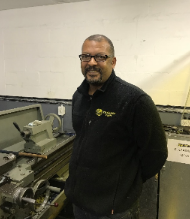 Armien handles the workshop and site work and his history in the pump industry adds critical experience to Charlson. 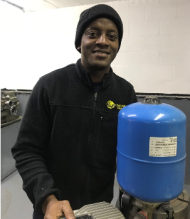 Daryll has been with Charlson since 2015 and Charlson is his first exposure into the engineering industry. 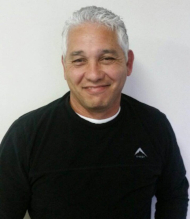 Daryll’s knowledge of pumps has grown rapidly and he is quickly becoming a household name in the pump industry. His infectious laugh no doubt helps him close most of his deals. He is usually found sharing experiences with Tim in the bar at 16:30. 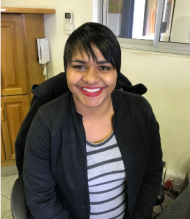 Charlene joined Charlson in 2017 and assists the accounts department in keeping everything in order. 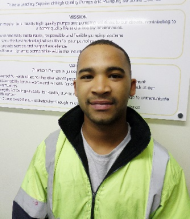 Jordaan is the senior site technician at Charlson, having been with the company since 2013. He started out in sales, but his urge to get his hands dirty overcame his desire to answer phones and he quickly moved out into the field. He is well known in the industry for attending to breakdowns and for keeping his clothes completely covered in oil. Monty is part of the furniture at Charlson, having joined way back in 2002. He is known for the servicing of Vertix, Rover and Tellarini Pumps, as well as the installation and setting of Italtecnica components. Monty is the chief spray painter and is known to eat around 2 kg of food for each meal at breakfast, tea, lunch and supper. 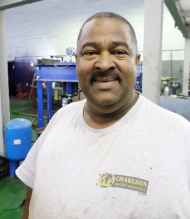 Trevor (nobody knows where that nickname comes from) joined Charlson in 2017 and is a mainstay in the Charlson workshop. He is mostly found near the spray booth or working on pump repairs.